“As men, we are all equal in the presence of death.” – Publilius Syrus, Moral Sayings, First Century B.C. 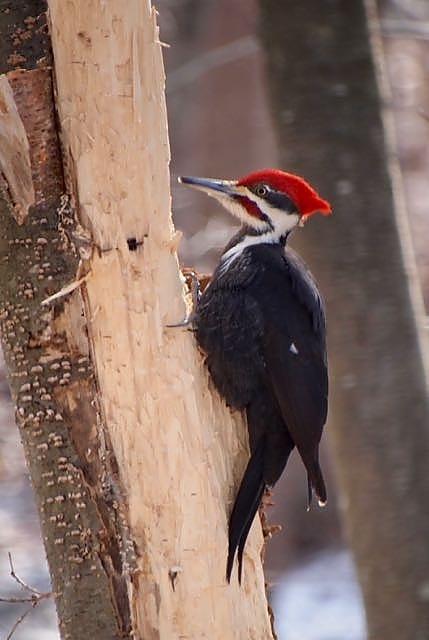 The other day, Lynne published some photos of a beautiful Pileated Woodpecker that was busy in our back yard. I was envious that I did not see him. But, a couple of days later he showed up again and I got a nice photo and a couple of short videos.